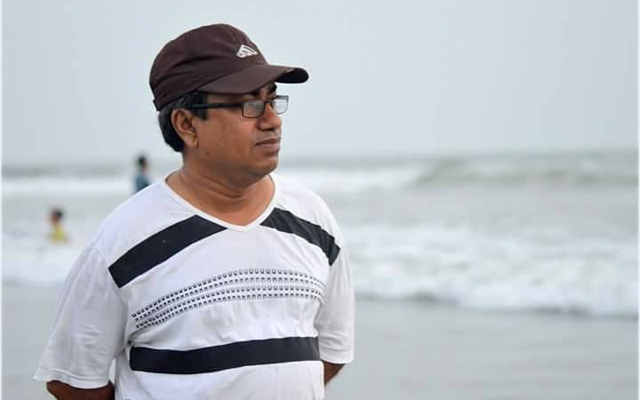 Sumon Zahid, a banker and son of martyred journalist Selina Parvin, has been found dead beside a railroad in Khilgaon Bagicha area in Dhaka. Police believe Zahid died after being cut off by a running train, but the Ekattorer Ghatak Dalal Nirmul Committee has expressed doubt over the cause of his death, bdnews24.com reported. Zahid, 57, had testified as the third prosecution witness against war criminals Chowdhury Mueen-Uddin and Ashrafuzzaman Khan. Chowdhury Mueen-Uddin and Ashrafuzzaman Khan were sentenced to death and are now living in the UK. The railway police said the body of Zahid was found next to Hikmah Eye Hospital in Khilgaon Bagicha area on Thursday. “Sumon Zahid died between 9:30am and 10am. We recovered the body at 10am and sent it to Dhaka Medical College Hospital,” the news portal quoted Kamalapur Railway Police Station Chief Yasin Majumder as saying. But the railway police could not confirm the cause of his death. “Some people said the man stumbled while crossing the railroad. Then a train coming from Kamalapur ran over him,” Shahjahanpur Police Station Chief Abdul Mahmud said citing witnesses, who later found the headless corpse. “Initially we believe it is an accident. But before receiving the autopsy report, we cannot confirm anything,” said Dhaka District Railway Superintendent Ashraful. Zahid lived in Shahjahanpur with his wife and two children. “It takes only eight to ten minutes to walk from home to the scene where he was found dead,” his brother-in-law Kazi Sarwar said. Issuing a condolence message over the death of Sumon Zahid, the Ekattorer Ghatak Dalal Nirmul Committee in a statement said, “It is not a mere accident but a planned murder.” The committee demanded a quick investigation. Earlier, the body of music composer Ahmed Imtiaz Bulbul’s brother was found beside a railroad. His brother was also a witness in a war crimes case. Bulbul described his brother’s death as a planned murder. Sumon Zahid was an employee of Farmers Bank. He left the job four months back, according to his brother-in-law. Zahid was born in 1961 in Feni. Prior to his banking job, he briefly worked as a journalist. Al-Badr members picked up Selina Parvin from her New Circular Road house in Dhaka on Dec 13, 1971. The street has been named after her. Later on Dec 18, her body was recovered from Rayerbazar mass grave. When Zahid’s mother was taken away from the house of New Circular Road, Zahid was playing on the roof of the house, according to Zahid’s court testimony.